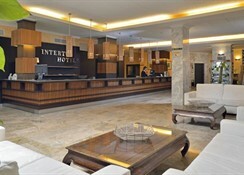 Alua Hotel Miami Ibiza is a beachfront resort offering fun in the sun for adults and families alike. Alua Miami Ibiza offers a variety of rooms, an outdoor pool, and food and drink on-site as well as in the immediate surroundings. With just a 2-minute walk to the beach, where watersports are a must-do, and Ibiza town under 15 miles away, Alua Miami Ibiza boasts an excellent location. For those wanting to stay a little closer to their holiday home, Alua Miami Ibiza offers entertainment for both kids and adults with a children’s club and plenty of sports activities like table tennis and darts open to all. Alua Miami Ibiza is wheelchair accessible and has plenty of family amenities including shallow pools, indoor play areas, and children’s options at the buffet. 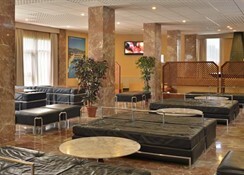 Alua Miami Ibiza is located on the Es Cana beachfront on the west part of the island. A 30-minute drive from the airport, Alua Miami Ibiza is also close to many markets, beaches, and points of interest such as the Sant Carles Church, just over 2 miles away. Shopping, sunbathing, and sports are a way of life in sunny Ibiza and Alua Miami Ibiza offers them all on-site or easily reachable by walking or bicycle rental (an additional service offered for a small fee). Alua Miami Ibiza also offers car rental service for those wanting to explore further. Alua Miami Ibiza offers Single and Twin Rooms, and also Family Rooms sleeping up to two adults and two children comfortably. Premium Rooms are also available, as are rooms with sea views to really enjoy the sights and sounds of the Mediterranean. All rooms have balcony and terrace access, private bathrooms, tea and coffee facilities, and luxuries such as air conditioning/heating. All rooms also come with TV, including kids’ channels, and free WiFi runs throughout the resort. Interconnecting rooms are available upon request. Alua Miami Ibiza’s in-house restaurant serves classic meals throughout the day and also features a child-friendly buffet complete with live cooking for a real ‘dinner and a show’. A bar, coffee house, and snack bar are located on-site as well with a huge variety of fresh and international foods served daily. Plenty of bars and restaurants can also be found within a short walk of your resort, and even more to be sampled in Ibiza town, just a 10-minute drive away. Alua Miami Ibiza boasts a huge array of entertainment and leisure for families, couples, and solo travellers. 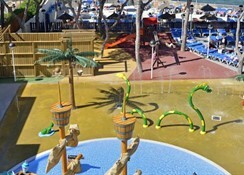 The child-friendly swimming pool with both shallow and deep ends is hugely popular. The pool overlooks a fantastic view of the horizon, and towels and sun umbrellas are supplied for maximum comfort. A shared lounge with TV (and children’s TV channels) is indoors, as is a small playground, and the children’s club runs every day with enthusiastic staff and a great range of activities. Gardens, beaches, watersports, and window shopping are all at your door step so you can really set the pace of your holiday. Cancellation and pre-payment policies vary for room types. 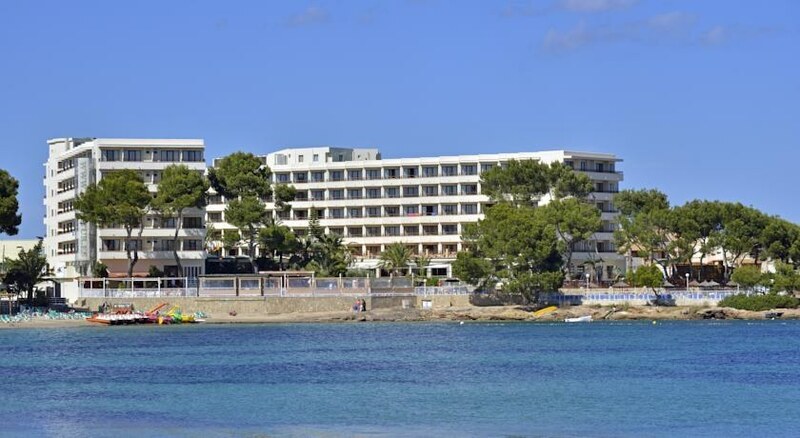 My friend and l who are both pensioners recently had a week's holiday at this beautiful area of Ibiza . We stayed in the self catering apartments and could not have wished for anything better. We made good use of this lovely hotels facilities. Staff were friendly and very helpfull food was excellant amenities great See you next year!